Canadians usually say they’re going south of the border when heading to the US. However, for those in Detroit, heading south means crossing the bridge, or tunnel, and making the trip to Windsor-Essex. A booming culinary and craft beer scene along with award-winning wineries makes the area a fabulous destination for food lovers; however it’s also a great destination for sun lovers too! As the southernmost county in Ontario, Windsor-Essex is a fantastic beach destination with the longest beach season. 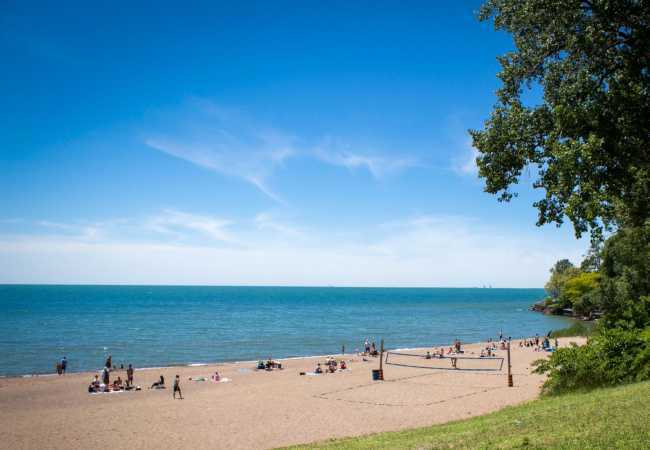 So, pack the coolers and check out these 5 beaches that are just a short drive from Windsor & Detroit. 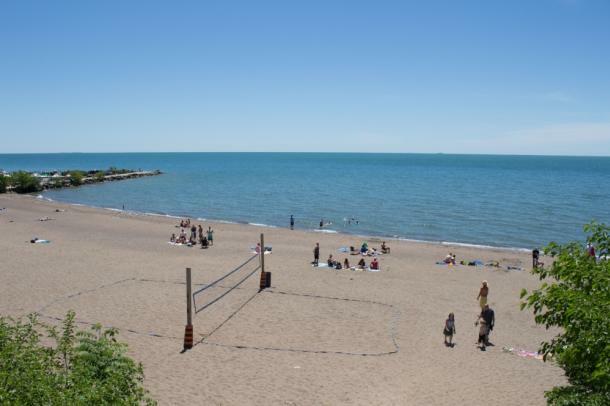 Located in the charming community of Belle River a short drive from Windsor, Lakeview Park West Beach is a fabulous family friendly beach. There is a large pavilion with picnic tables as well as large grassed areas for games and fun as well as a volleyball court. Once you’ve worked up an appetite from the fun in the sun, you’ve got to try some of the amazing pizza Windsor is known for. Head to nearby Armando’s to grab slices of local favourites. 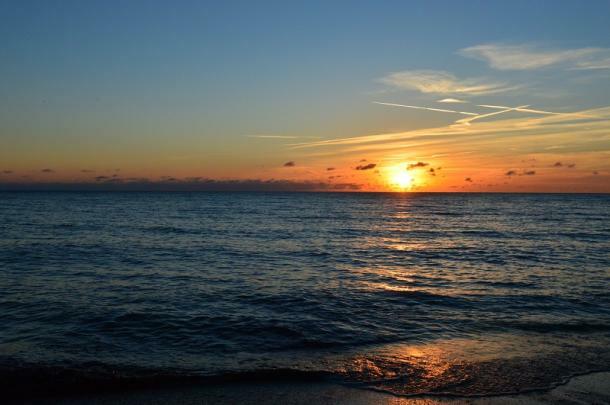 Holiday Beach Conservation Area is internationally recognized as an Important Bird Area for its wetlands that attract birds by the thousands each year; however its beach is what’ll have you migrating back each summer. The long sandy beach sits on the shoreline of Lake Erie, the shallowest of the Great Lakes. Thanks to its shallowness, it’s waters warm up faster than any other Great Lake so it has the longest swimming season! Once you’ve finished swimming, there’s lots to do at Holiday Beach Conservation Area including camping, nature trails, a playground, a boardwalk and an observation tower where you can view wildlife. Once you make it to Colchester Beach in Essex, you’ll feel like you’ve discovered a beach only locals know about. The beach is sandy and cozy with not a lot of traffic making it great for the whole family. The long summer days you’ll get in the region make for full days of swimming in the waters of Lake Erie and the kids will love the splash pad. For watersports fun, rent a kayak, pedal boat, or water tube from Summer Wave Rentals and enjoy a laidback tour of the shoreline or test your balance on a stand-up paddleboard (SUP) from Oxley Surf Company. Not to mention, there’s beach volleyball too! Did you know Point Pelee National Park is celebrating its 100th birthday in 2018? The park is renowned for its biodiversity and you’re bound to view wildlife in every inch of the park. Head to the visitor centre to learn about what makes the park unique; or hop on a guided freight canoe tour through the wetlands! This is all before you hit the beach! 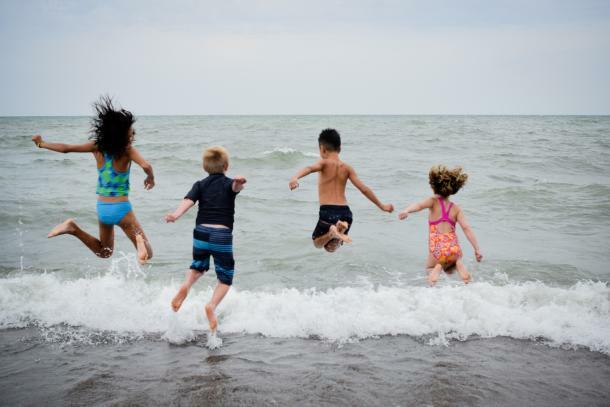 For beach fun, there’s 20 kilometers of smooth sand on the west and east sides of the peninsula at Point Pelee making it the longest continuous natural beach in Essex County. Stay into the evening and you’ll catch one of the best sunsets around! You can even stay overnight in comfort at Point Pelee in an oTENTik. Once you head out of the park, you have to stop at Birdie’s Perch to try the famous Lake Erie perch. Pelee Island is affectionately known as Ontario’s hidden private island getaway and once you get there, you’ll understand why. After you get off the ferry, you’ll feel like you’ve escaped down south because you have! 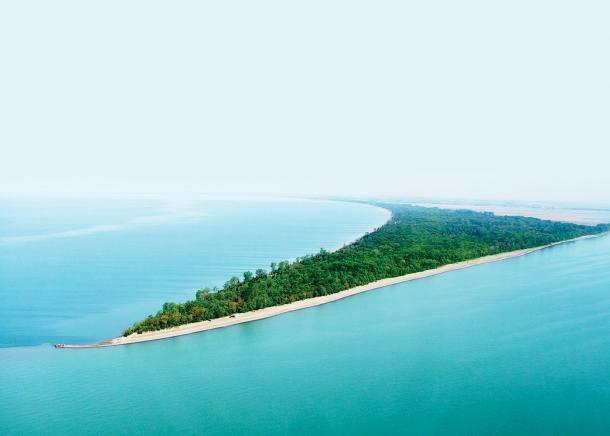 For sandy adventures, Pelee Island has four public beaches where you can enjoy the waters of Lake Erie. The two most unique beaches are Lighthouse Point and Fish Point Nature Reserves, sitting at the north end and south end of the island respectively. Named for the lighthouse originally built in 1833 that stands at the tip of the spit, Lighthouse Point is a great spot to enjoy peaceful fun in the sun. For a truly unique experience, you’ll definitely want to head to Fish Point and hike along the water’s edge, or through the trails, to the tip of southernmost beach in Canada! Before hopping on the ferry back to the mainland, be sure to check out Stone House 1891 for delicious farm to table fare, craft beer, Ontario wines, and artisanal cocktails. For even more adventures, check out the video below for a taste of all that Pelee Island has to offer. 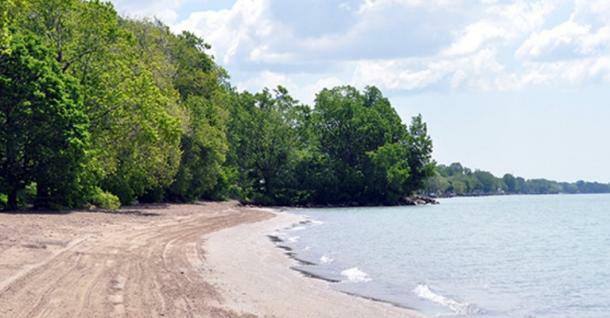 Want to extend your trip and explore more Ontario’s Southwest beaches? Check out our Beach Cheat Sheets highlighting the best beaches in the region. Swing by the Offers page to look for local deals and packages while you’re in the area too!